The issue of marginalization is not reserved to certain nations, societies or communities nor is it merely a contemporary problem. It is deeply embedded in history, causes the suffering of many communities, and has been the root of many traumatic and abusive conflicts, consequently influencing the way we deal with the present and anticipate the future. It has been the fuel to many past sociopolitical problems and continues to do so to current day. Photo of photographers Emna Fetni and Ashraf Gharbi, participants in the "Marginalization" exhibition, along with the organizer of the exhibition. After attending the Marginalization round table at the Hammamet Conference and hearing about the International Center for Transitional Justice (ICTJ)’s exhibition - Marginalization: Images of non-visible repression – and after being exposed to the stories captured by some of the participants in the exhibition, I realized that marginalization, in its many forms, not only entrenches rural communities or minorities, but can surprisingly be condemned to the most urban and central of communities. This form of systematic, institutionalized lack of recognition, results in disregard of the needs and issues of such groups - rightly making them feel abused and essentially obliterated. Photo taken by Emna Fetni as part of her work for the exhibition "Marginalization in Tunisia: Photos of invisible repression". You can find more of her work here. Nowhere is this more powerfully embodied than in the photo of the young Majdi, showing off the tattoo etched on his neck, symbolizing that in Tunisia, he is alive-dead and resembling the zombie-like, invisible state-of-being of marginalized communities and individuals. The 21-year-old school-drop out lives dreaming of the day he would leave Tunisia. 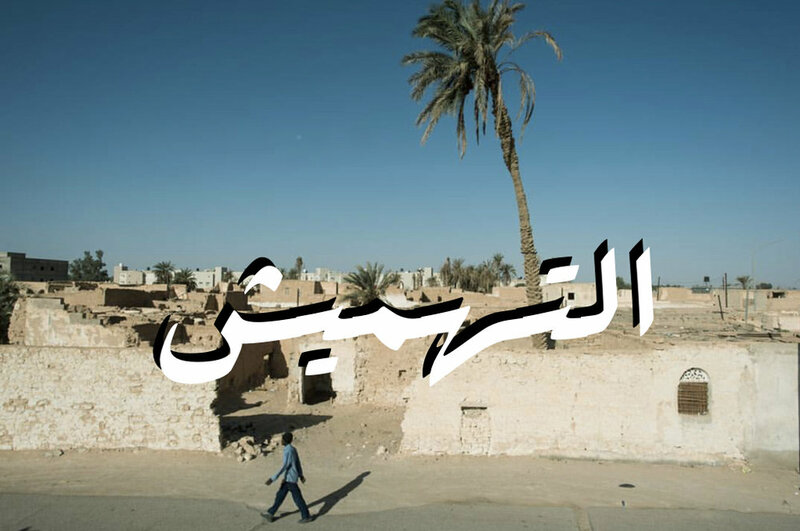 The exhibition showcased the work of young Tunisian photographers and their particular interpretation of marginalization in Tunisia by representing it visually in the universal language of photography. The more the photographers narrated their findings, the more it felt like they were talking about issues that can also be traced to Libya and other parts of North Africa, and the more I felt the urge to take this project and implement it back home. In particular, Majdi’s case of hopelessness and defeat can be translated into a Libyan context, where illegal migration, once a rarity among Libyan youth, has increasingly become a resort of many who face economic, social and or political despair in the current Libyan scenario. The marginalization work group opened my eyes on the gravity of the issue and its potent influence on the people’s trust in the political and legal process as well as their participation in it. We need to start having these conversations in Libya, as uncomfortable and painful as they are, they are vital. We need to recognize the historic contexts as well as the current state of such issues in order for us to bridge the past with the present and envision where both will take us in the future. How and why did such repression and neglect take place and how do we mend it and avoid it happening in the future? How do we put an end to the repetitive cycle of marginalization and how do we build more inclusive societies, legal systems and governing bodies that truly serve their people? I believe that the first step to solving these issues is by realizing they exist in the first place, and we can only effectively do that through dialogue and the will to understand. Comment below and share your outlook on marginalization in Libya and possible solutions for the problem.